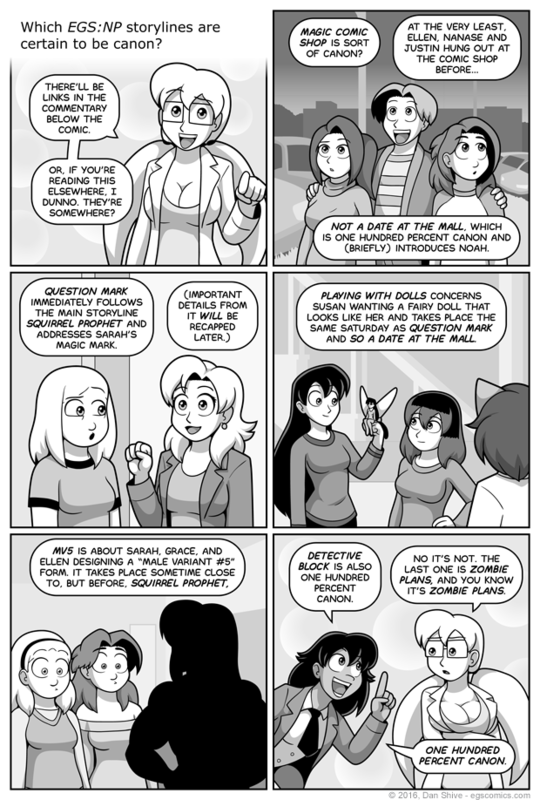 Granted, if you're reading this commentary, you're probably among the EGS readers who know all of this already. On the other hand, there's a lot to keep track of, and even I had forgotten that I had declared "Zombie Plans" 100% canon. I had in fact written the last panel soley as a "Detective Block is canon" joke when I stumbled upon my own declaration of the "what would we do about zombies" storyline being canon. That said, I'm now concerned I missed a canon or two. Don't want to leave those just lying around.